We at Westbrook Honda would like to congratulate Sean Bowen and Leo Gallego for being a part of the Honda Council of Sales Leadership for 2017. The Honda Council of Sales Leadership is an annual recognition program designed to encourage professional development and sales excellence throughout Honda dealerships nationwide. By measuring sales volume, customer satisfaction, and professional knowledge, the program identifies consultants who excel at enhancing the customer buying experience. Sean has earned Gold this year- for the first time! He has also won the Silver level award for the past 4 years preceding his gold award! For his first time, Leo has earned his Silver level ward. Congratulations to a job well done! American Honda Motor Co., Inc. recently honored Westbrook Honda with The Professionals “Customer Service Experience” Award for our exceptional A+ performance in Parts and Service! This is one of the most highly coveted honors that Honda can grant to its dealerships, and we’re proud to be one of 338 Honda dealerships nationwide and only 3 in CT to have received recognition for all of the hard work we have put into attaining this superior achievement. With an overall customer service satisfaction rating of 92.1%, being above the benchmark reflects our consistent dedication to deliver the highest level of service in the industry! 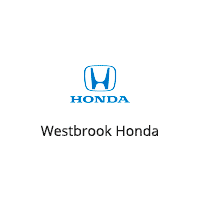 At Westbrook Honda, we are dedicated to earning your business again and again. The first time you walk through our doors could be to browse our selection of used cars Or, perhaps you’ll stop by to trade an older model for a brand new Honda vehicle. Our sales staff and our auto financing team have the bar set at the top rung every time, so you can count on finding a loan or lease option that puts the Honda CRV, Accord, Civic, Pilot or Odyssey of your dreams in your driveway, on your terms. When you’re ready to return to our Westbrook dealership for regular car service and maintenance, we’ll be ready to perform whatever work your vehicle requires. And when you’re in the market for auto parts, we’re ready to assist in whatever D-I-Y projects you have going on under the hood of your car. For more information about our full range of services stop into our showroom at 1 Flat Rock Pl Westbrook, Connecticut and we’d be happy to assist you with all of your automotive needs. We proudly serve drivers from New Haven, Middletown, and New London, CT.